(Easy Piano Vocal Selections). This highly anticipated blockbuster stars Hugh Jackman, Russell Crowe and Anne Hathaway. 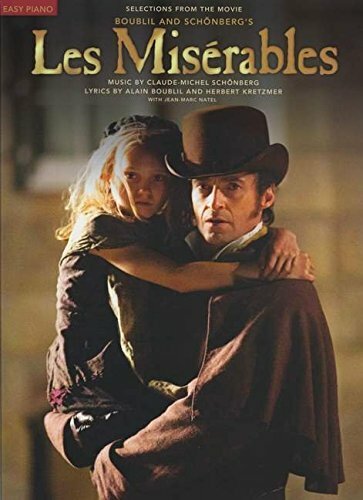 Our songbook features easy piano arrangements of 16 songs from the film, including the new title "Suddenly," plus notes by the composers and a special section of fantastic full-color photos from the film! Songs: At the End of the Day * Bring Him Home * Castle on a Cloud * Do You Hear the People Sing? * Empty Chairs at Empty Tables * I Dreamed a Dream * A Little Fall of Rain * Master of the House * On My Own * Stars * Who Am I? * and more.